Happy 24th Birthday to Ora! LOOK WHO'S CELEBRATING HER 24TH BIRTHDAY! 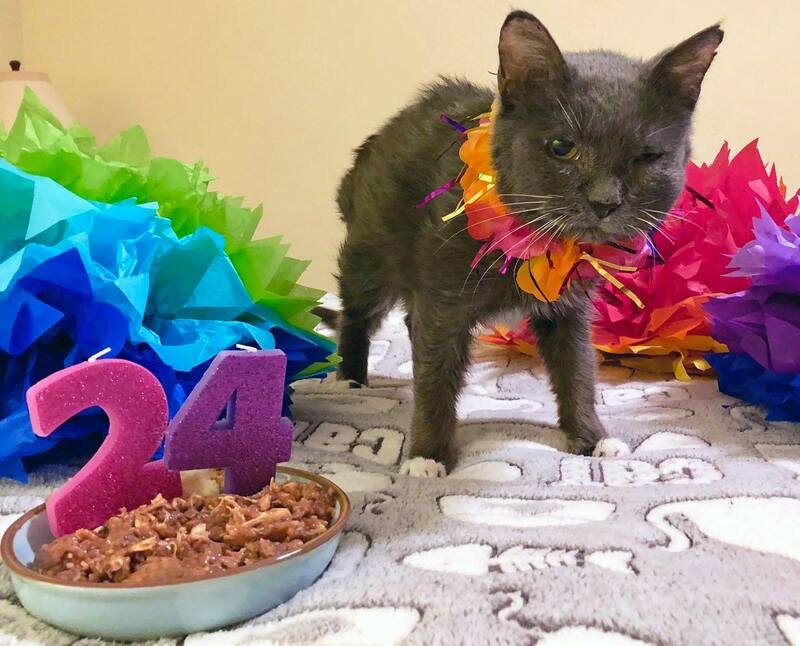 One year ago, a sweet 23 year old kitty named Ora was dumped at animal control for urinating outside of the litter box. We rushed to rescue her, wanting to make her last days or weeks as comfortable as possible and not spent in a cage at animal control. We treated her urinary tract infection which cleared up beautifully, had the mass evaluated under her eye (which turned out to be an inoperable but non-painful tumor), and got her settled into one of our sanctuary homes where she would be spoiled rotten for whatever time she had left. Well, she decided she was not going anywhere! She was going to enjoy this new life! 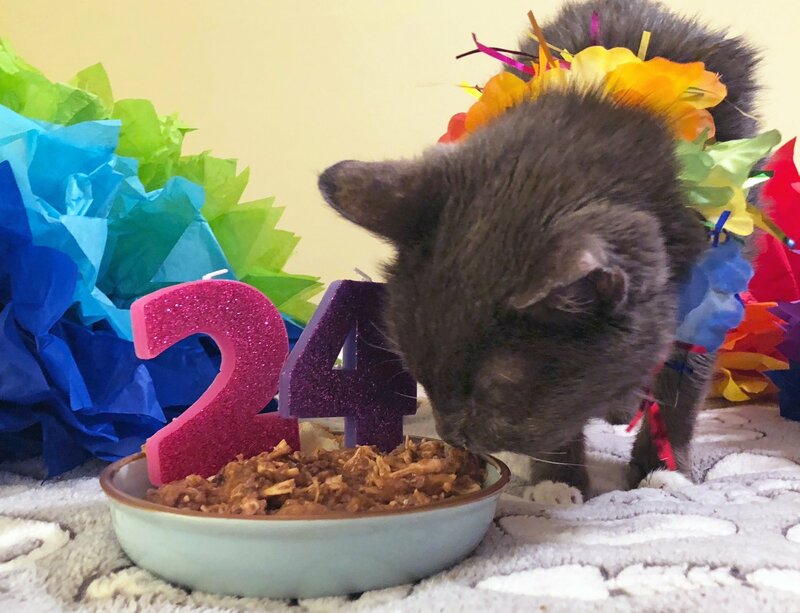 Today, Ora is celebrating her 24th birthday! She is a feisty old lady who devours her food and enjoys heated kitty beds and the good company of another one of our older sanctuary kitties. She loves to look out her window, watching the birds and sitting in the sunshine. Happy birthday, sweet Ora! We love you to pieces. 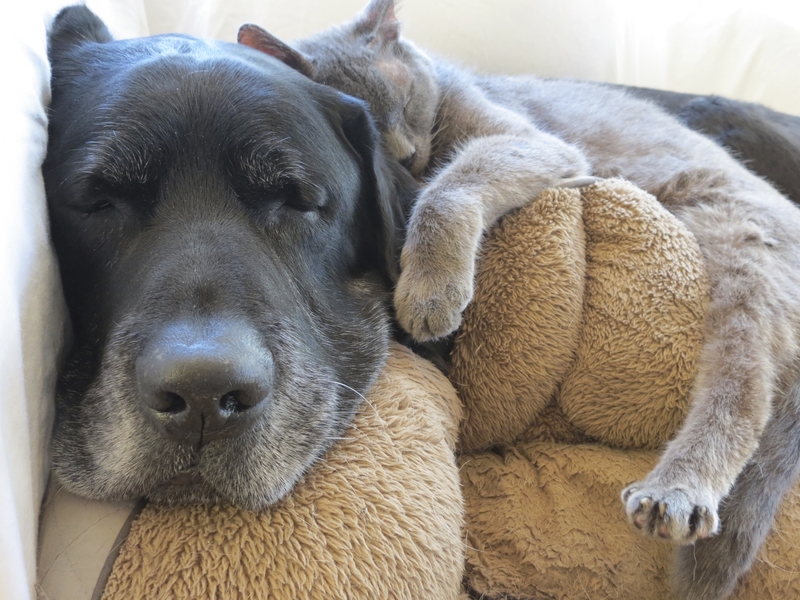 Ora's birthday wish is that more senior kitties like her get to live out their lives in love and comfort. Thank you to everyone who makes taking care of our special sanctuary seniors like Ora possible!